It's a first. It's silver. It's patriotic. And it's a steal. Washington crossing the Delaware. Eisenhower launching D-Day. Kennedy rescuing the crew of PT 109. These men made history. 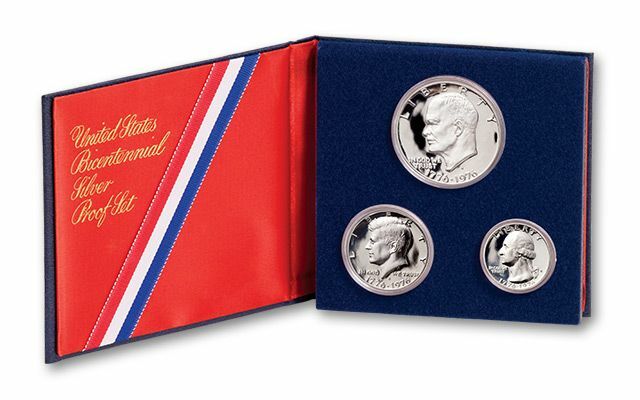 To celebrate the bicentennial of America, the U.S. Mint struck this special three-piece proof set honoring these three American presidents-and our 200th birthday. 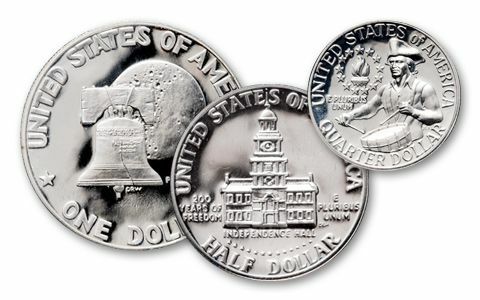 To capture the bicentennial spirit, the coins in the set are dual–dated 1776–1976. This set was so popular over 4 million were sold. Unlike the regular circulating coins of the day, these coins are struck in 40% precious silver. It's the first commemorative U.S. Mint Proof Set ever. It's also the first proof set to feature all dual-dated coins. And finally, it's the first U.S. Proof Set to include a Silver Dollar. Americans love proof coins from the U.S. Mint. Each coin is struck twice from specially prepared dies and has deeply mirrored surfaces and superb frosty images. And you know you've got a real piece of American history when you hold this set-the red white and blue holder is spectacular! 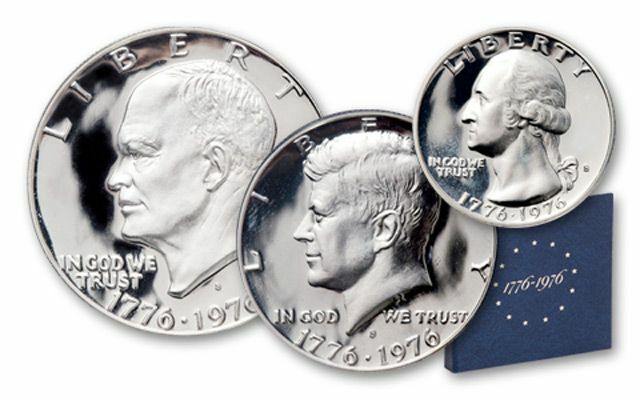 This first-ever Bicentennial Silver Proof Set sold out at the mint three decades ago. When you consider how much prices have risen since then, you might expect to pay $100 or more to buy this set today. But, if you act now, you can secure your very own 40% Silver Bicentennial U.S. Proof Set for a lot less. Don't delay!